Molecular biology is one of the newest and modern branches of science and scientific research, which concerns and deals with all biological activities at the lowest molecular level. Moreover, it overlaps and mixes with other fields of science from chemistry and biology, to biochemistry and genetics. The main area and aspect of its research is understanding how all cellular systems interact. To understand that, one has to think in terms of the most important particle of all human beings – DNA, and of course, RNA and other proteins and all of their functions of synthesis. That is why biochemistry, genetics and molecular biology are hard to distinguish. However, if you want to define what the scientists in those three fields are doing independently, it should be noted that a biochemist deals and studies chemical materials and processes that happen in all living organisms. They study the functions, structures and roles of biomolecules, which are the main focus of all biochemists. Other important area of focus is the chemistry of all biological functions and the synthesis of every biomolecule involved in living organisms. Molecular biologist is concerned with all molecular mechanisms, which are behind various biological processes like transcription, replication, translation and cell functions. The basis of molecular biology is understanding how genes are converted into the molecule of RNA in the process of transcription and then, how RNA is translated into proteins. Nowadays, this simple dogma has been reconsidered due to the latest discoveries, which concerns the real roles of RNA in organisms. Lastly, genetics concerns with genes and their effects on all living organisms. Those effects are mostly examined throughout knock-out studies, where researchers use models designed on animal so that they lack some of their genes compared to a regular phenotype. Scientists are trying to model and identify the mechanism of aggressive and deadly brain tumors on the computers. 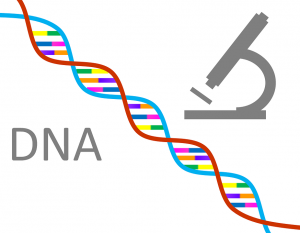 They have developed a new method, which is label-free and is used to detect DNA amplification in real time. This study requires that molecular biologists, biochemists and geneticist to work and collaborate with each other. K9behavioralgenetics.com © 2019. All Rights Reserved.